Most people probably ignore this small plant with the yellow berries,as they take in the the grand views of Zion National Park. 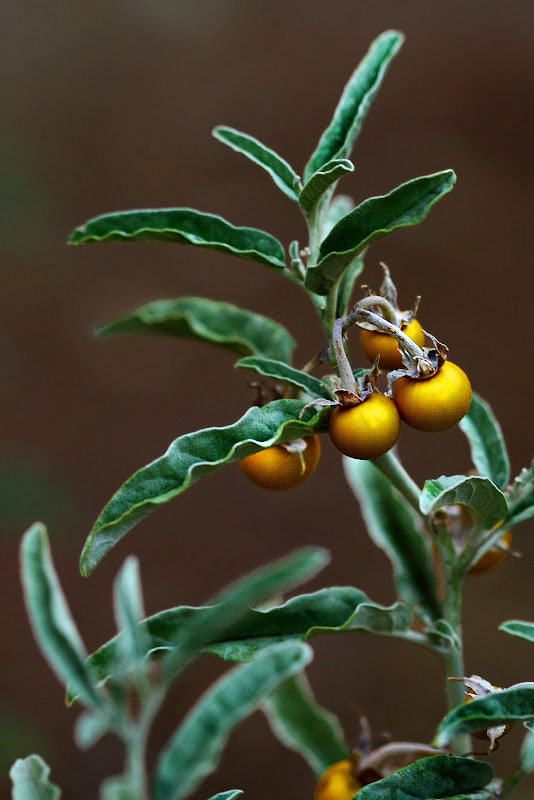 However, on an overcast day, the golden yellow berries shined brightly against a dreary background. Earlier in that day, while the sun was still shining, I explored Shelf Canyon on the eastern half of Zion near the overlook trail. 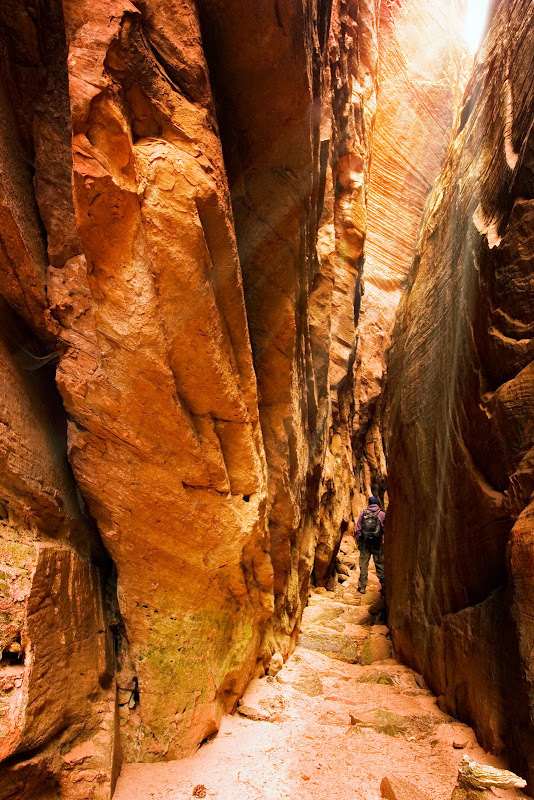 The walls reach to the sky and close in around you as you hike further down the canyon. Eventually, the canyon becomes impassible.